Deep, multimedia dive into a rich subject resonates with readers. 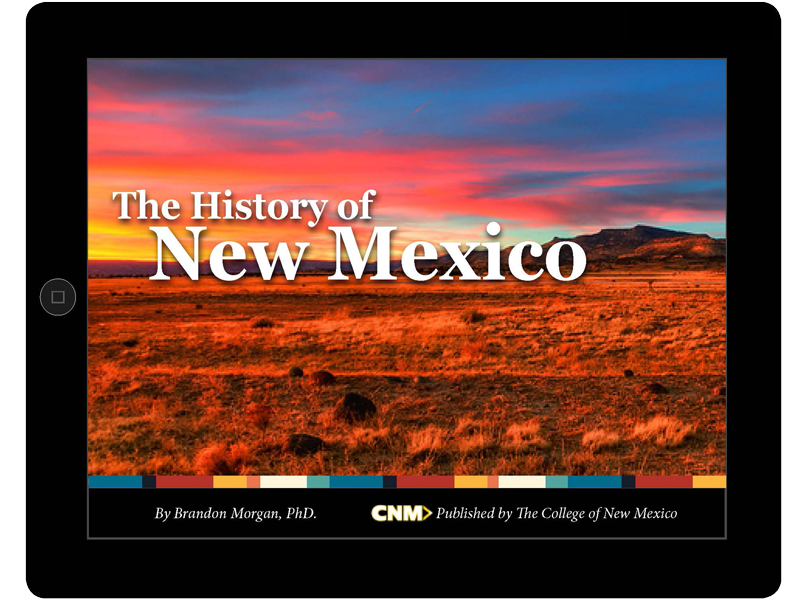 CNM attracts a wide range of students from all over New Mexico. Distance learning is a fast growing component of their classes, as many students live in far-flung corners of the state. They needed to make online learning engaging and make subjects come alive for those students who don’t have top-level study skills. They also wanted to involve faculty and student employees in the book’s production. 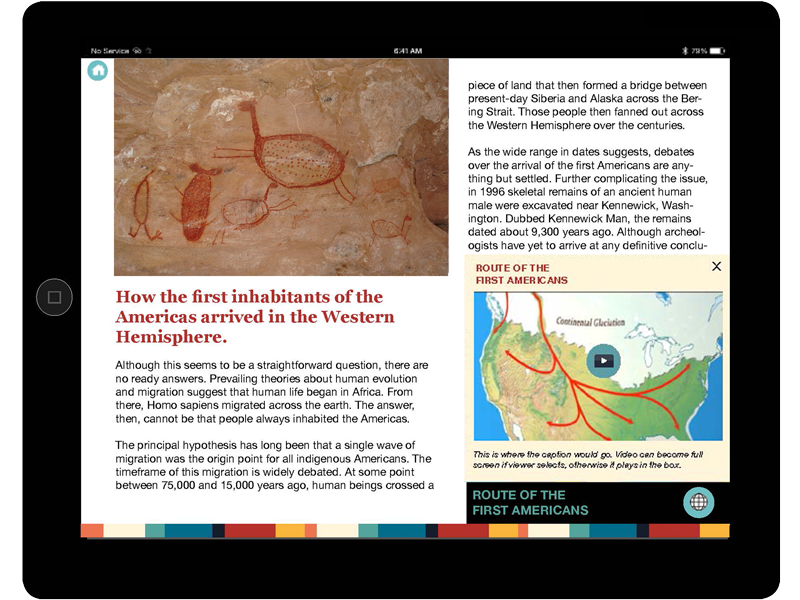 The result is a lively 300-page history book, with over 1,000 images, 50 video interviews, 24 web videos, 20 animated maps, 42 historical maps, over 200 weblinks, and a 650-word interactive glossary. Each of the chapters has a self-assessment quiz and this digital textbook allows for teacher monitoring and feedback. 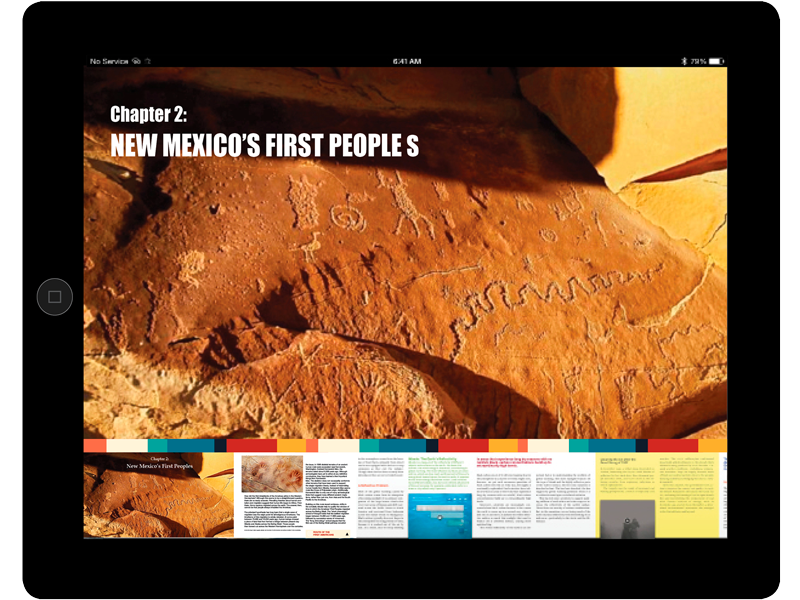 New Mexico’s history is a convergence of centuries of cultures, perspectives, and stories which have not often been represented in textbooks and other media. Our challenge was to correct that. 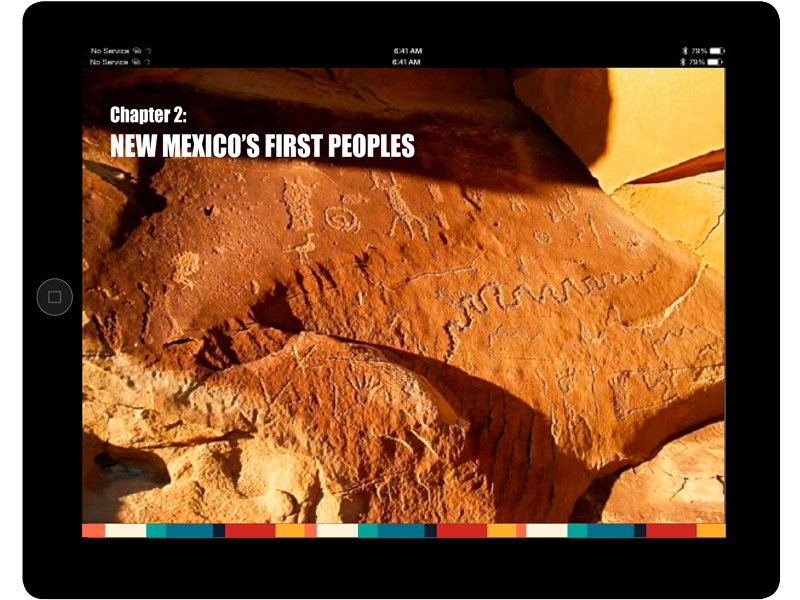 This book is designed so that every New Mexican can see their story reflected in it. Because so many students live in places without dependable internet service, the school needed a product that would be totally self contained, yet also be able to provide the teacher with multiple analytics when students eventually log in. Each of the chapters has a self-assessment quiz and the book allows for teacher monitoring and feedback. This book is designed to be effective and interesting for students with a wide range of learning styles and capabilities. The book we created has enjoyed widespread acceptance, greater student engagement, and improved learning outcomes. It’s now being used in multiple school systems across the state.